If you are traveling with your petthis holiday season, you will want to keep your pet calm. One of the best ways to keep your pets calm and relaxed on trips is with CBD – but is it legal to bring on a plane? Will TSA or a drug dog search you because of your CBD? The short answer is that yes: CBD derived from hemp is legal to bring on planes and is also legal to transport over state lines. Because our product contains less than .3 percent THC, it is legal in all 50 states. This means that you can bring it with you by plane, train, bus, or automobile without fear of legal action. However, if you are flying internationally with CBD, you should check the rules of your destination country. However, according to the DEA and the FDA, because non-psychoactive CBD products are recognized by both agencies, your oil must only contain less than .3 percent THC to be cleared for air travel. There are a few things you can do to make your trip easier and to make sure that you are covered and safe and will not have to dispose of your CBD before you board. In order to make sure that your CBD is allowed through security, you should bring printed lab certificates, website information, order information, or any other written communication from the company stating that your CBD productcontains less than .3 percent THC. TSA’s biggest concern is security. 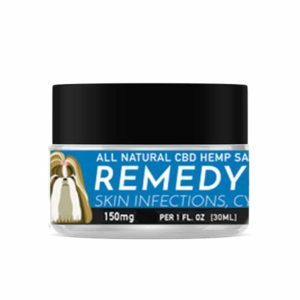 Typically, they aren’t looking for issues with hemp CBD – they are looking for anything that can be used as a weapon or any illegal drugs. As long as you have your certificate or other documentation stating the brand name and the THC content, you should be okay. Just because you are bringing CBD legally on the plane does not mean it can go against TSA guidelines for traveling with liquids. Make sure that the bottle is below 3 fluid ounces. Even though it may seem easier to stow your CBD in your checked luggage, you are better off keeping the CBD in a carry-on where you can show your documentation if there are any questions. If TSA searches your checked bag and you do not have proper documentation or cannot prove the THC content, you may end up losing your bottle, even if it is perfectly legal. If you are still worried about transporting your hemp-derived CBD, you can contact the airline to ask if they have any rules of their own regarding the oil. They can advise you of any documentation they may require as well. Although, it is good to keep in mind that typically CBD is more under the jurisdiction of the TSA than the airline itself. Either way, if you are feeling unsure, the airline may be able to put your mind at ease. Remember: CBD derived from hemp is completely legal. Know your rights. CBD derived from the hemp plant contains less than .3 percent THC, and is legal in all 50 states.As long as you have proper documentation, you have the right to bring CBD with you anywhere you go. 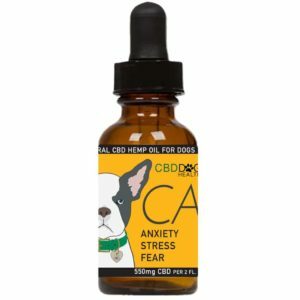 Just as you would be allowed to bring prescription medication for your pet, you can bring CBD. For more information on CBD Dog Health and CBD for your pets, visit www.cbddoghealth.com.